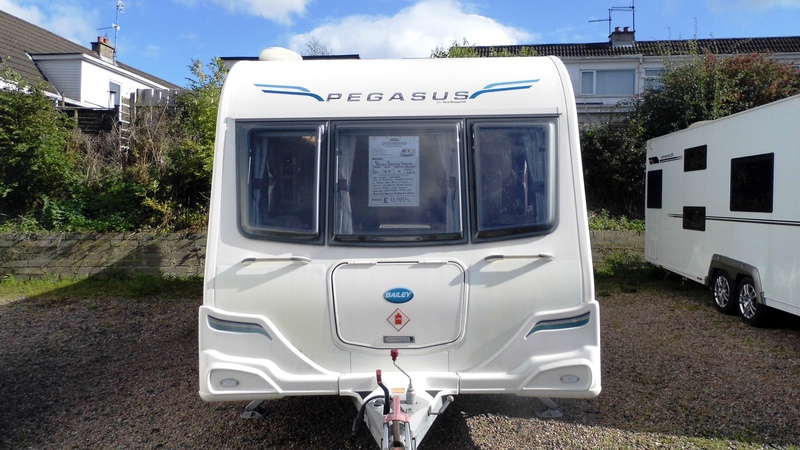 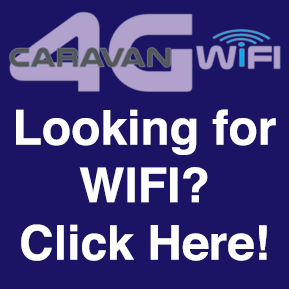 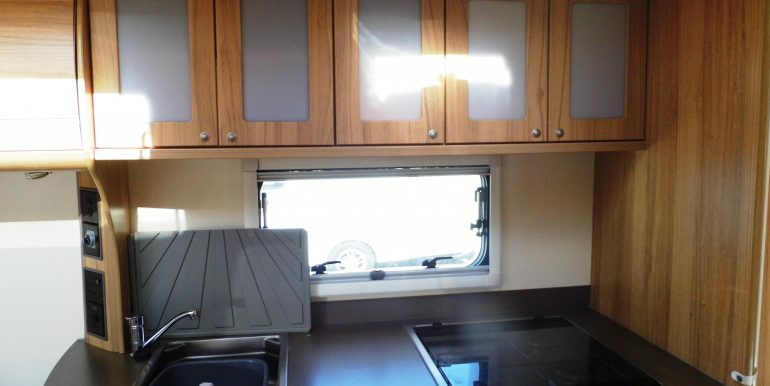 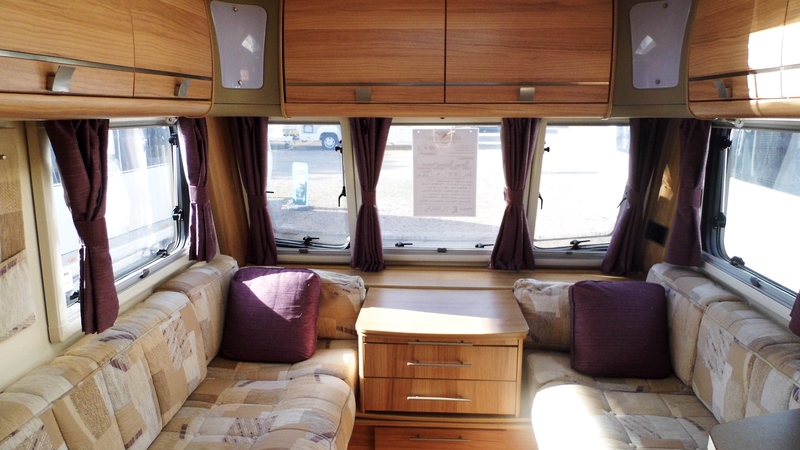 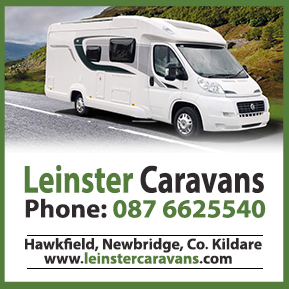 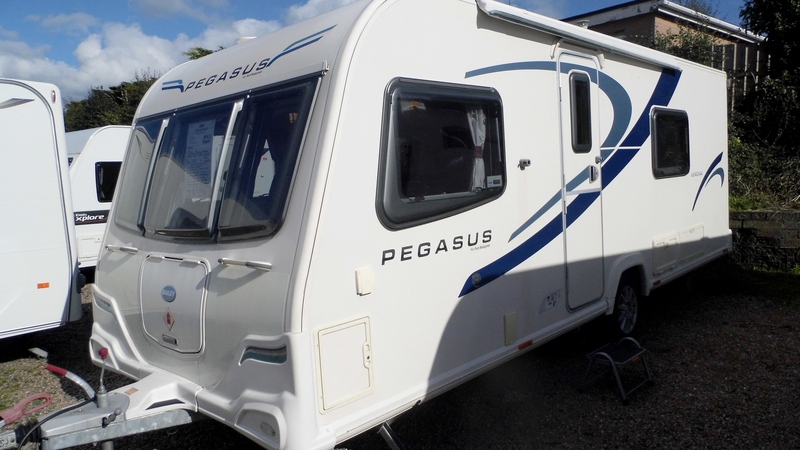 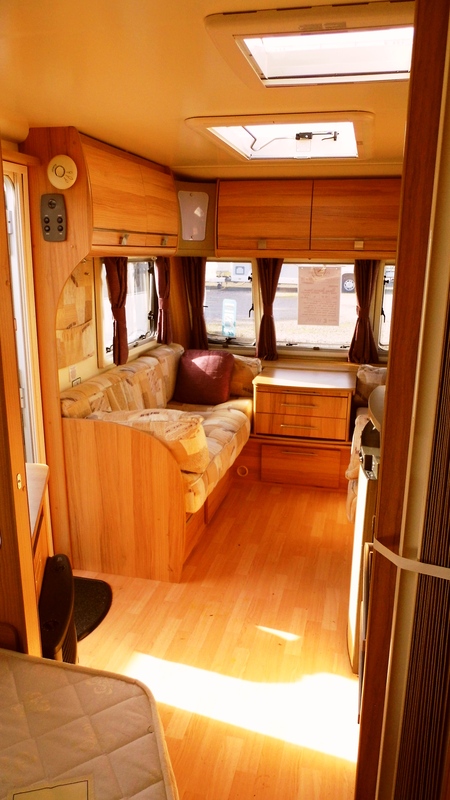 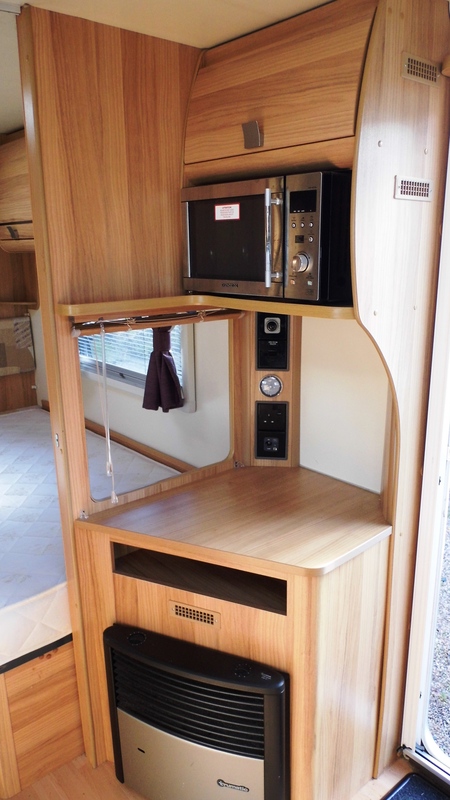 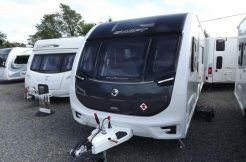 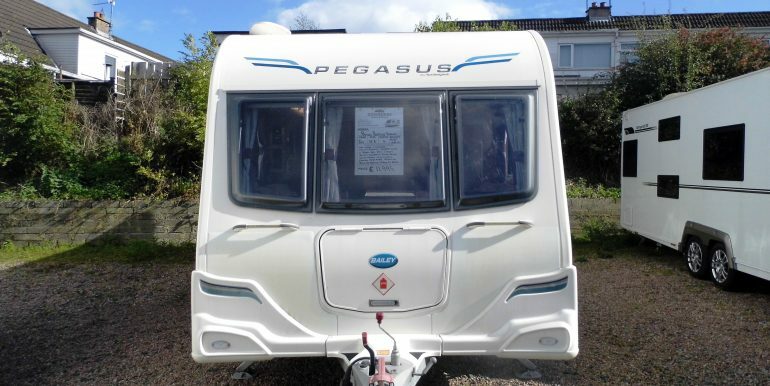 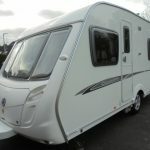 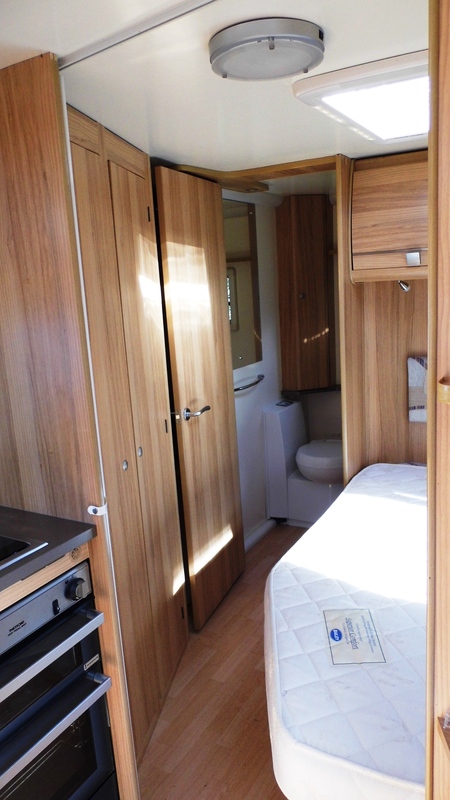 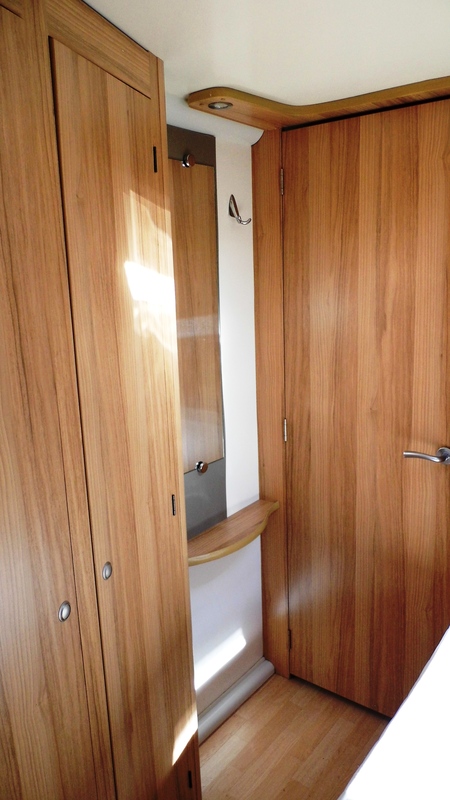 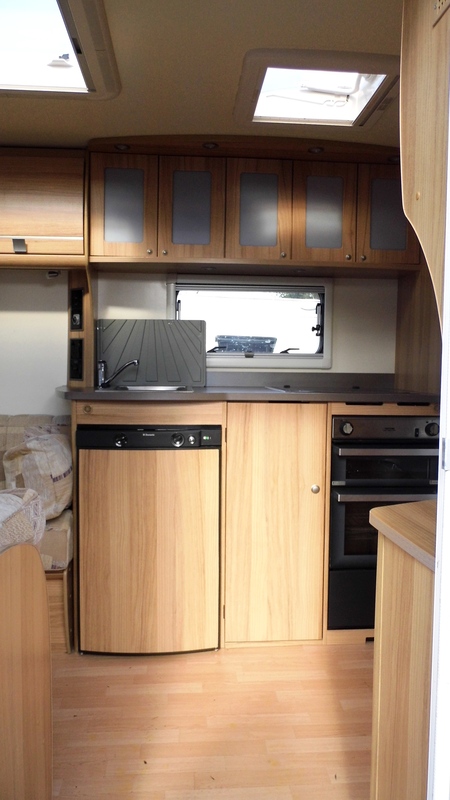 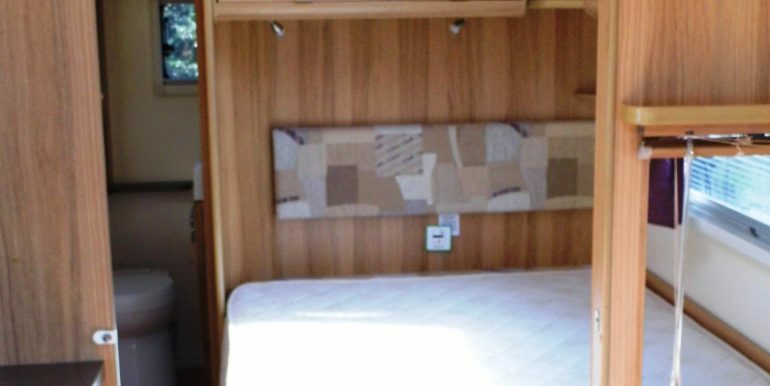 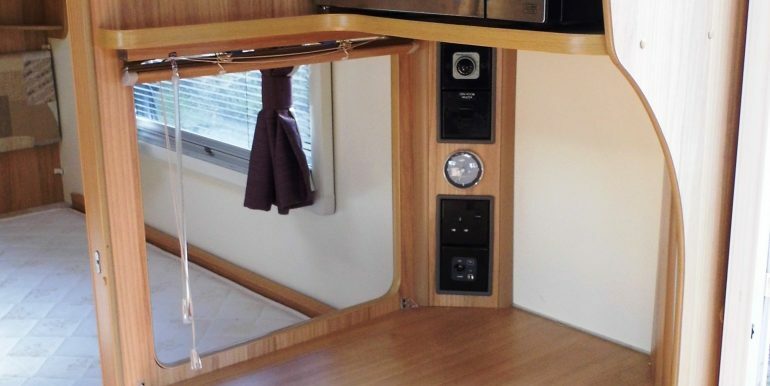 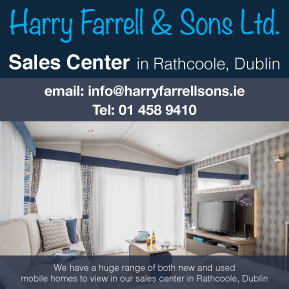 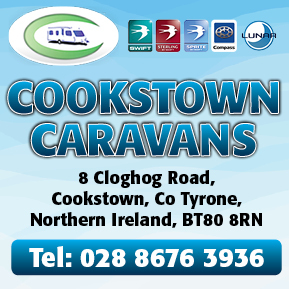 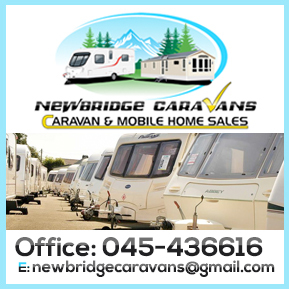 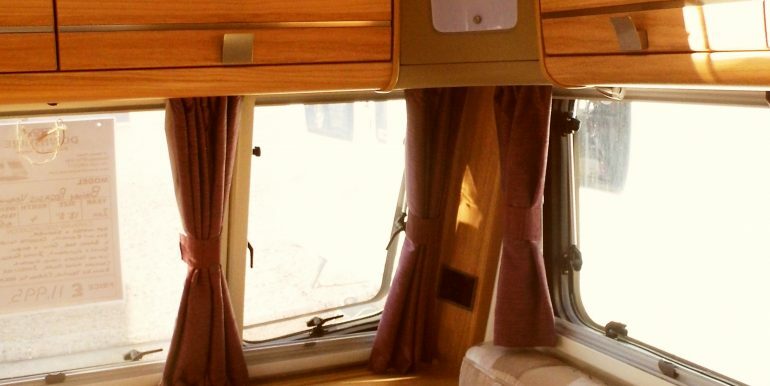 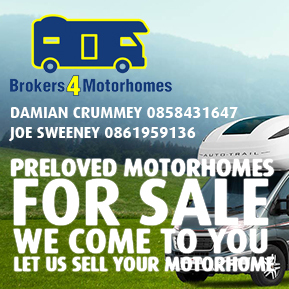 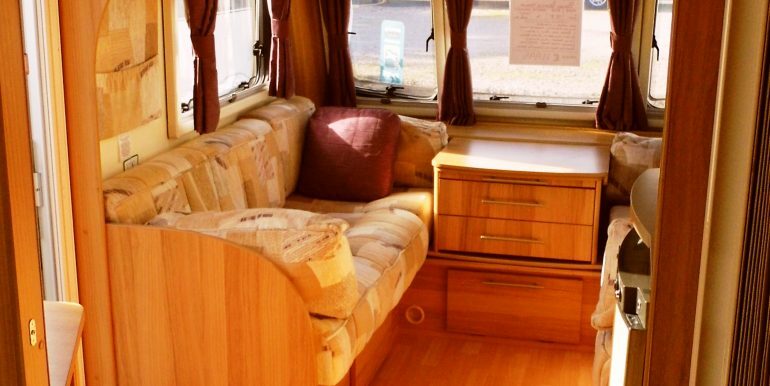 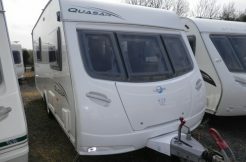 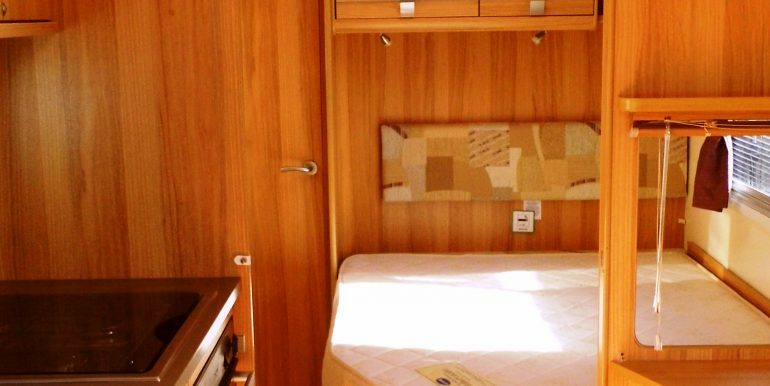 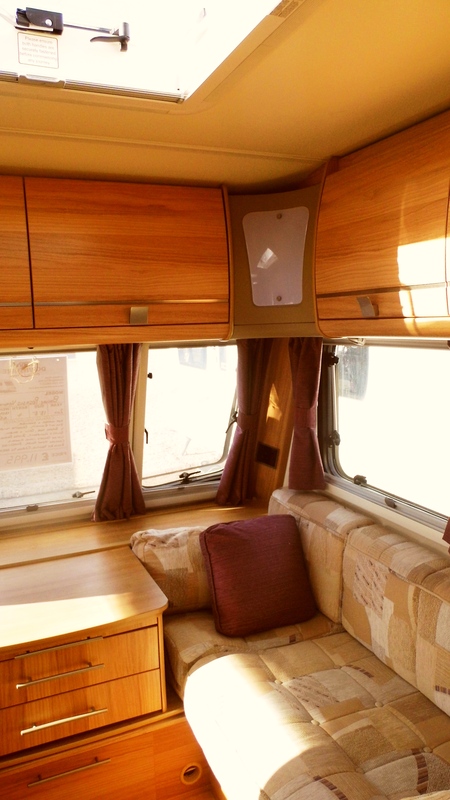 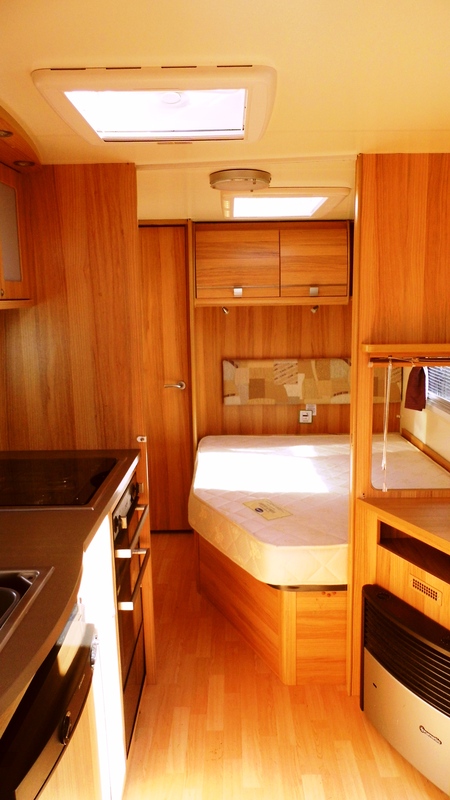 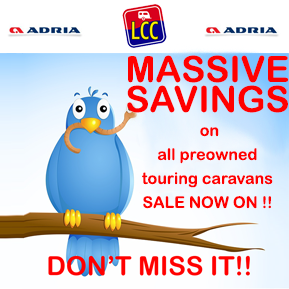 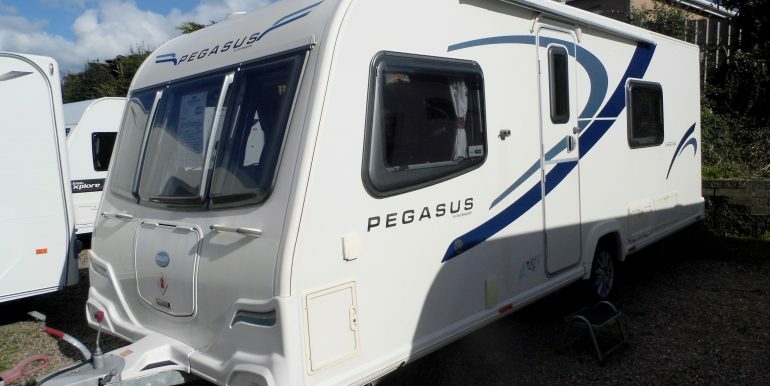 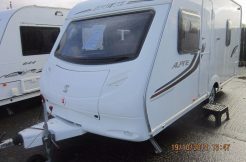 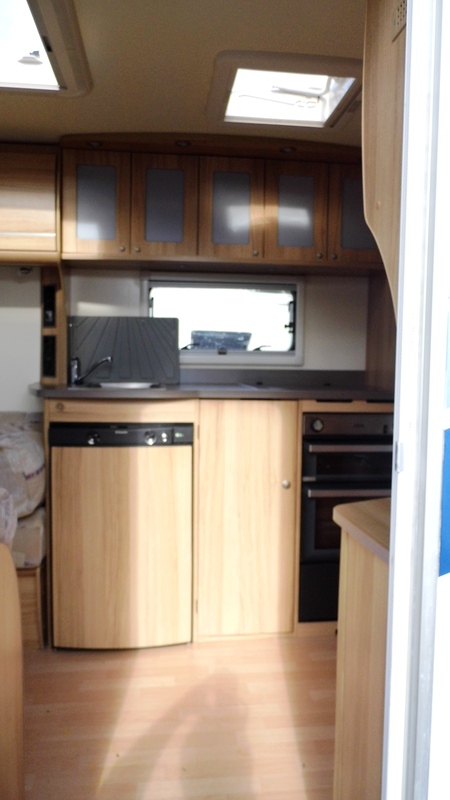 Excellent condition 4 berth caravan with foxed double bed. 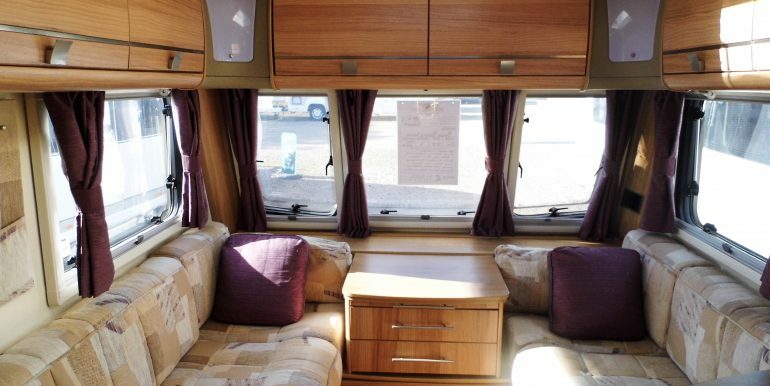 Two parallel seats to the front can convert to a double bed. 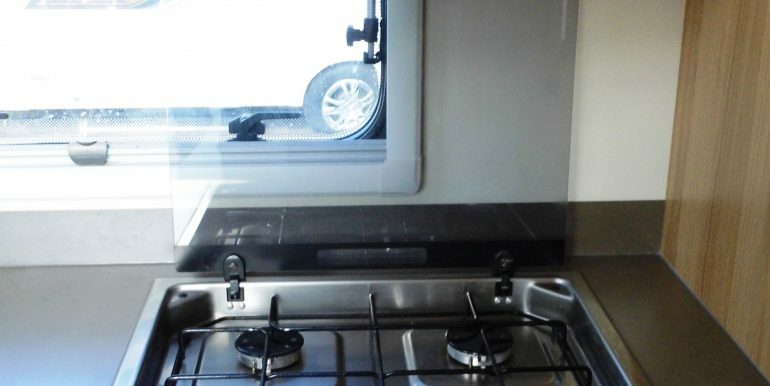 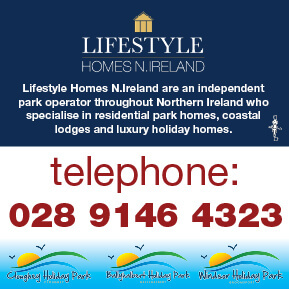 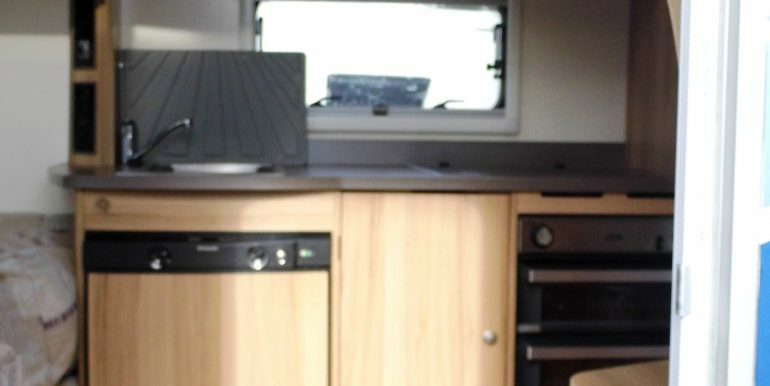 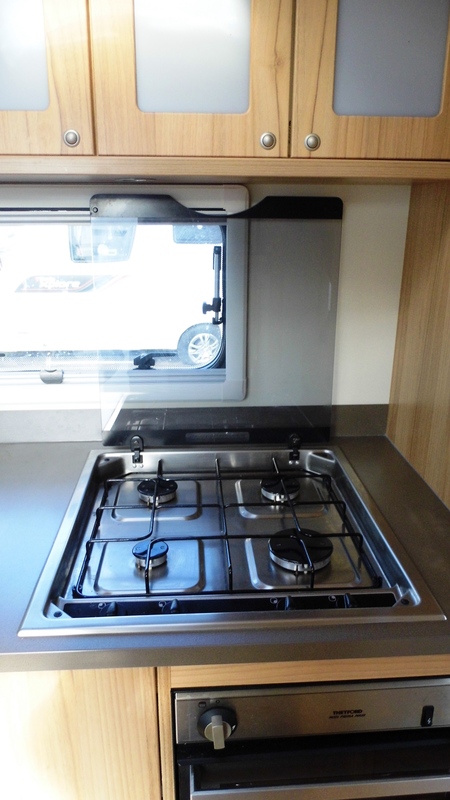 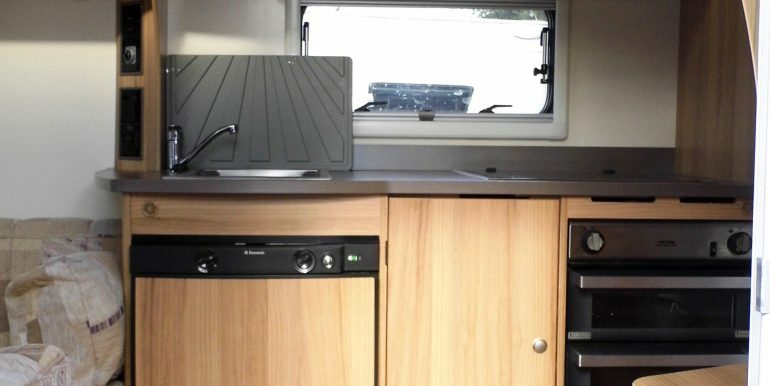 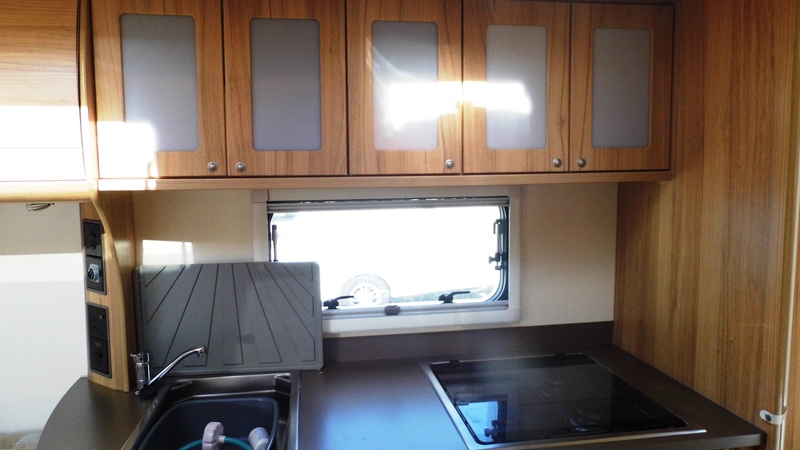 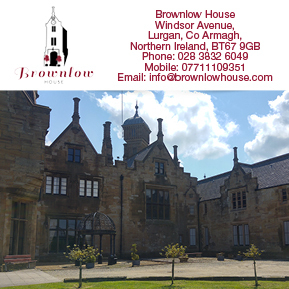 Centre kitchen with 4 burner gas hob, grill and oven, 3 way fridge, microwave and ample worktop and storage space. 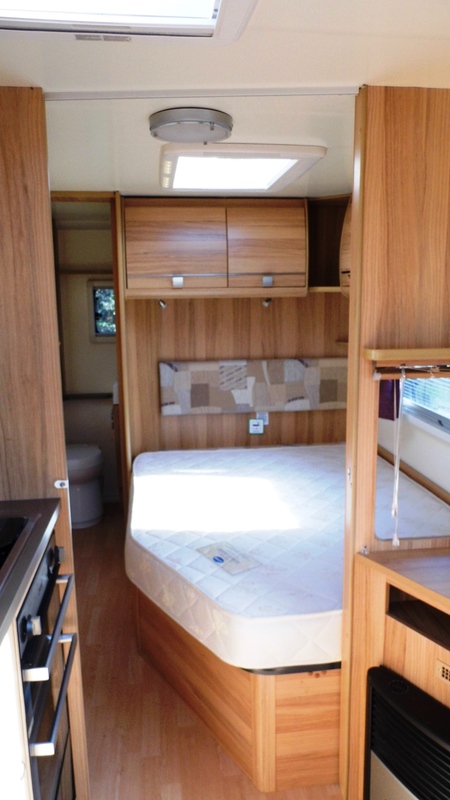 Fixed french bed to the side with over head locker storage and large wardrobe. 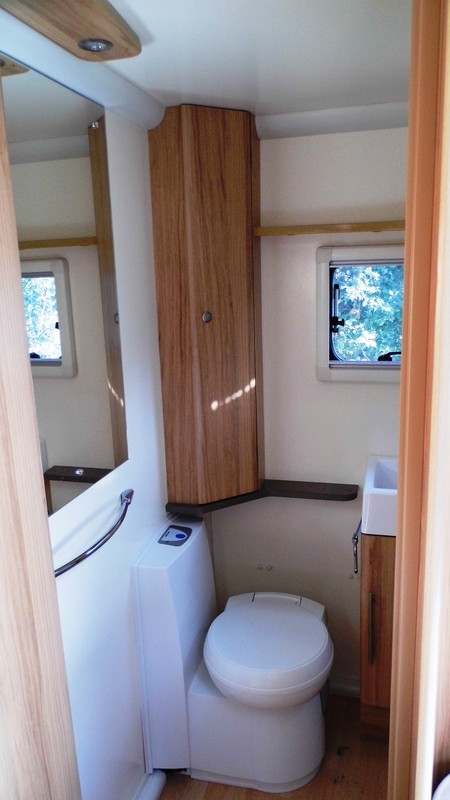 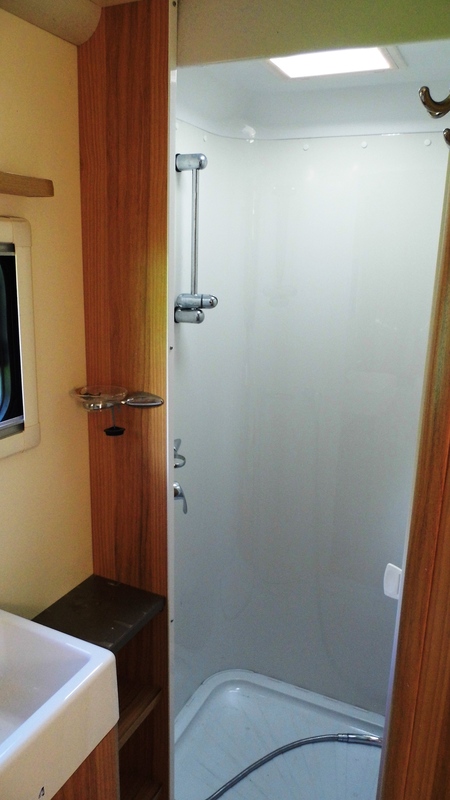 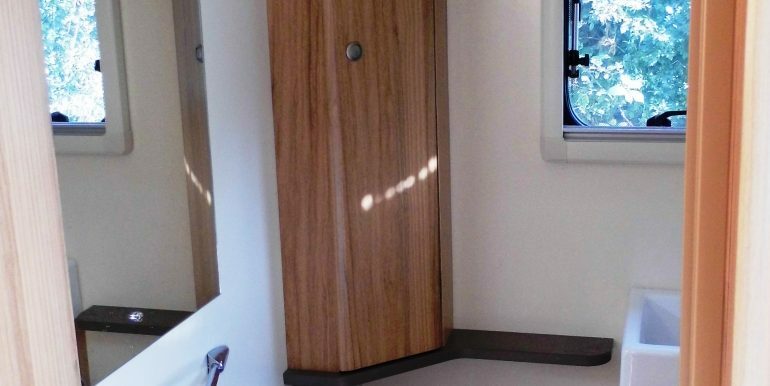 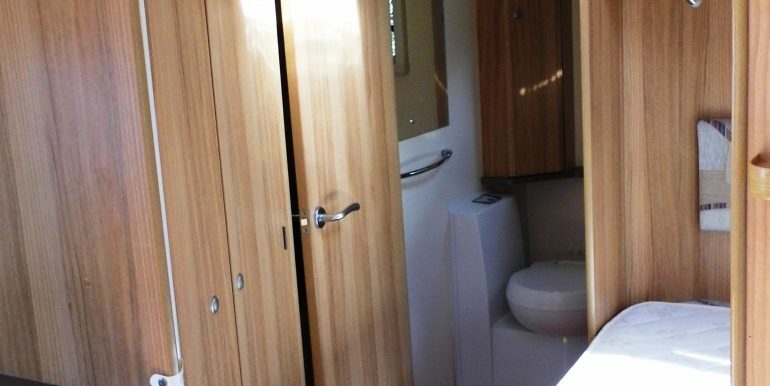 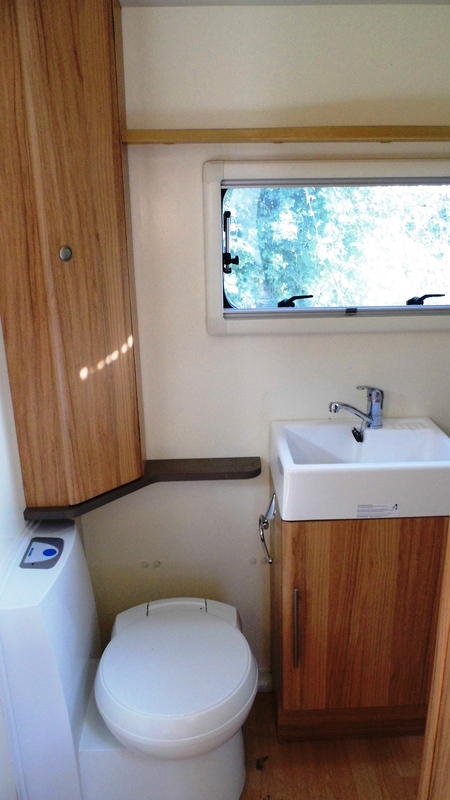 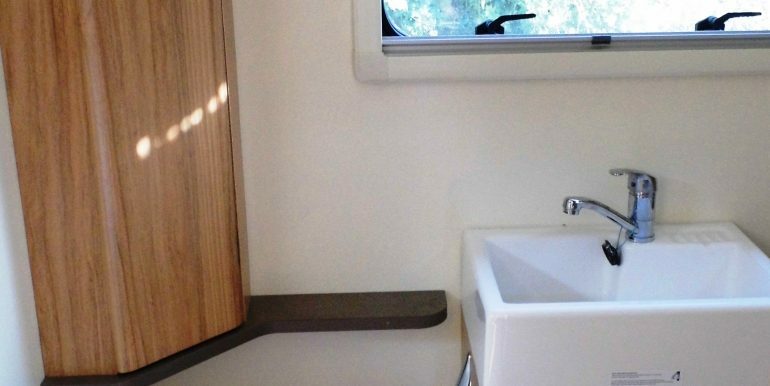 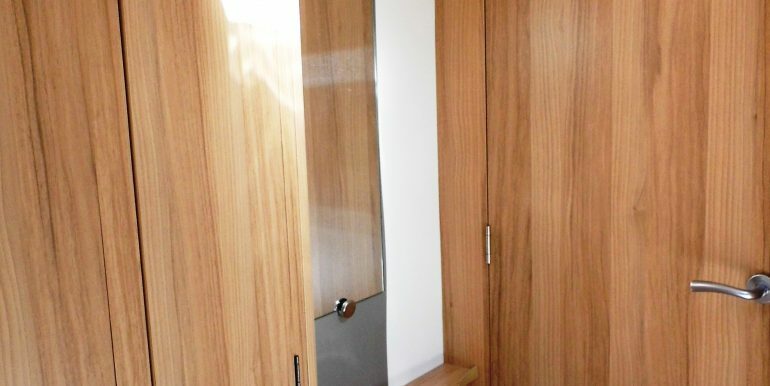 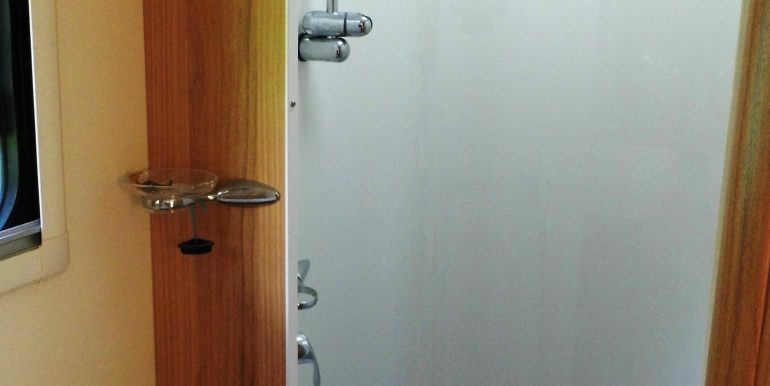 Washroom to the rear with separate shower, cassette toilet, sink and vanity unit.